Composer Lewis Spratlan talked about his original composition “New England Concordance” in an interview with Derek Perkins HERE. Listen in! The Boston Saengerfest Men’s Chorus is pleased to announce the appointment of Brendon Shapiro as Assistant Director of the Chorus. Brendon will continue in his current role as pianist and will additionally regularly assist Music Director, Tom Berryman in rehearsing, leading sectionals and conducting the Chorus. 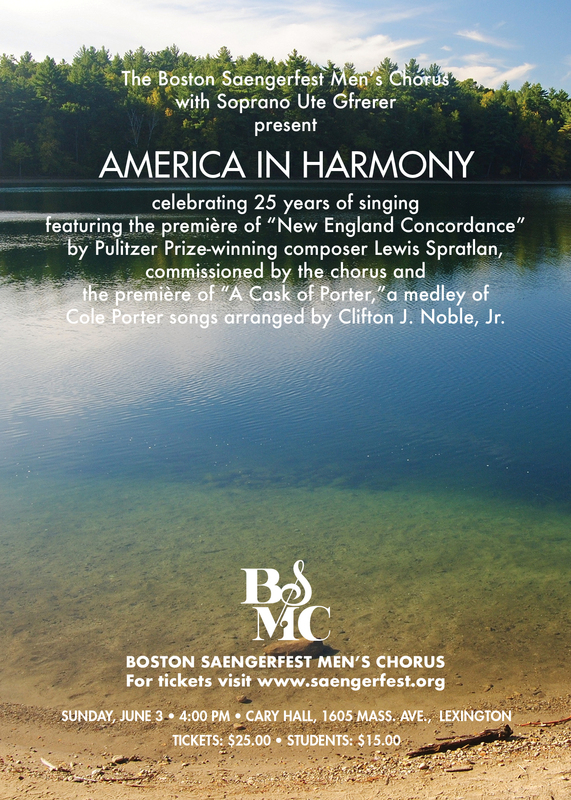 Brendon has served as pianist for the Boston Saengerfest Men’s Chorus for four years. He is a staff pianist at Boston University and organist for First Parish in Arlington, MA. He is also a vocal coach on the faculty of the Boston University Tanglewood Institute. Brendon holds a Master of Music degree in Collaborative Piano Performance from Boston University and a Bachelor of Music degree from the Ithaca College School of Music. This entry was posted in Concerts, Performances.